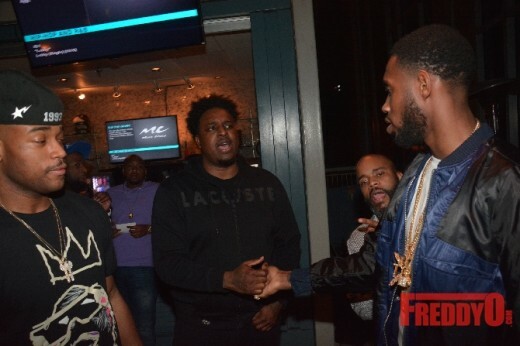 PHOTOS: Kevin Hart & The Plastic Cup Boyz Spotted at Atlanta’s Uptown Comedy Club! Actor, Comedian, Athlete, Businessman and Recording Artist Kevin Hart surprised everybody in the ATL by falling through Atlanta’s legendary Uptown Comedy Club with his homies The Plastic Cup Boyz to share a few laughs and have a good time. As you might have heard Kevin Hart has been spending a great deal of time in the ATL filming his new film “Jumanji” a classic children’s story about a game that goes haywire. Kevin Hart has been working hard and decided to have a little fun by spending some quality time with his homies, his lady, and the good peeps over at Uptown Comedy Club as he spent a little time embracing his first love: STAND UP COMEDY. I had the pleasure of taking pics and kicking it with his crew as they shared jokes and entertained the good peeps who decided to drop by the funniest spot in town. Queen U Defines “Formation” and They are Coming to the ATL! Queen U is coming to your city and Ms. Julia came to slay! Her intention is not to slay only in fashion as she does in the pic below; nope, her purpose is greater and BIGGER than fashion, she came to FREE YOUR MINDS! So who is this innovative powerhouse diva that dares to get ya’ll in formation? Her name is Ms. Julia Sewell. She is the Chairwoman and CEO of Sewell Speaks LLC, a company specializing in the arts of motivation, training and the development of individuals with whom she comes in contact with ,she is also the Founder of Queen U! Queen U is the brain child of Ms. Sewell and was formed with the vision of empowering, teaching and helping women around the world to find their happiness and life success by reaching into themselves and utilizing the talents and gifts that they possess to truly maximize their best potential, not only for themselves but also so that their contributions to the world would ultimately assist in making it a “better” place, “Queen U will be that aid to guide us in elevating our nation by gathering queens with the purpose of unification and manifestation of our best selves. When we are at our best, we have more to offer around us” Sewell said. Earlier this year, Ms. Sewell advertised with the online blogging site The Shaderoom for an Ambassador search to progress her initiative. 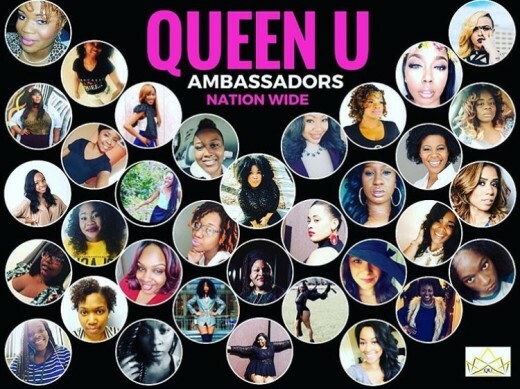 Since then, Queen U is able to boast 33 women ambassadors worldwide with the intent to double that within the next few months. In a series of monthly conferences scheduled for each calendar month this year around the world, Queen U’s conference is scheduled for July 16th this month in Atlanta. 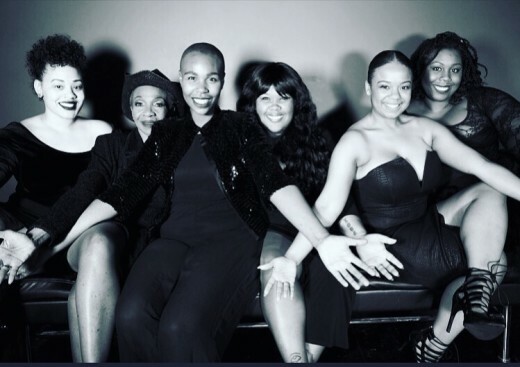 Queen ambassador Jaya Cain, alongside Queen U founder Julia Sewell, will host a women’s empowerment conference under the theme “Knowledge of Self”. This workshop styled conference will engage participants in a series of self analysis activities that aim to teach women how to positively, cognitively and smartly assess their life’s choices to discover whether or not they are living their best lives.Women are expected to walk away with a wealth of new found networks, a sense of empowerment and a new drive to maximize the best that life has to offer to them and to embody that “can do” attitude. 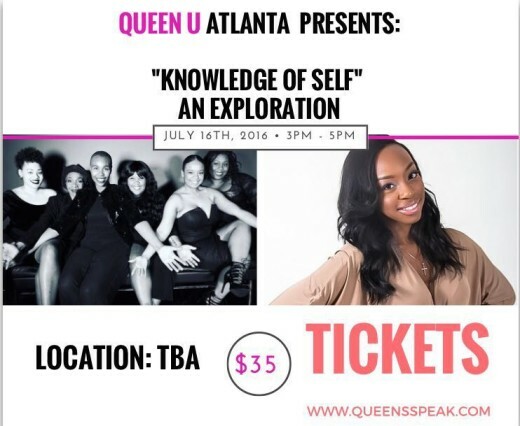 If you would like to be a part of this great movement, or if you would like to attend the Atlanta event, you may visit the organization’s website at www.queensspeak.com for tickets and more information about Queen U. Good morning, it’s Mother’s Day and it is the Lord’s Day! 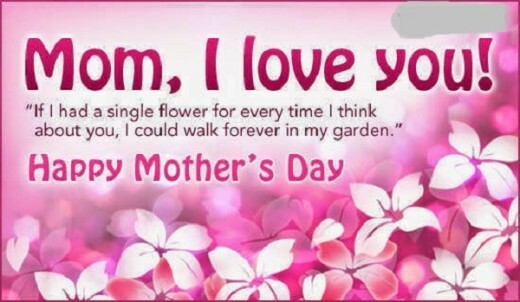 I hope everyone is out and about appreciating their mother’s today as well as everyday. 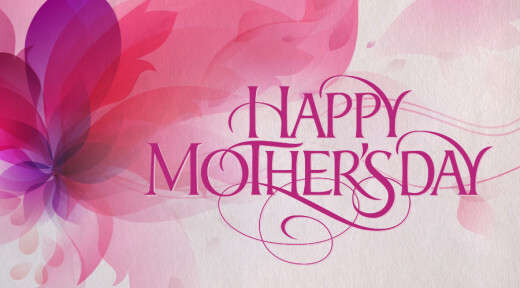 Thank you for the mother’s who believe, trust and love us unconditionally because you are responsible for where we all are today! On this day, for people who have lost their mother’s or grandmother’s who played the motherly role in their life I want you all to remember this quote by Dr. Seuss. I know this quote hits home for me, being the 9th year that my grandmother isn’t here with me. However, I find comfort in knowing that my goal on earth is to make my mother and my grandmother proud and I will not stop until I fulfill that. Today think of all the people who ever told you, “no” or gave up on you and your mom was there to pick you up. Think of the distasteful or disrespectful things that you might have done towards your mom and remember how she still embraced you each and every time because she never ceases to see the good in you. I believe mother’s are the rocks, they are the full circle, without them and without women in general there would not be a human race. 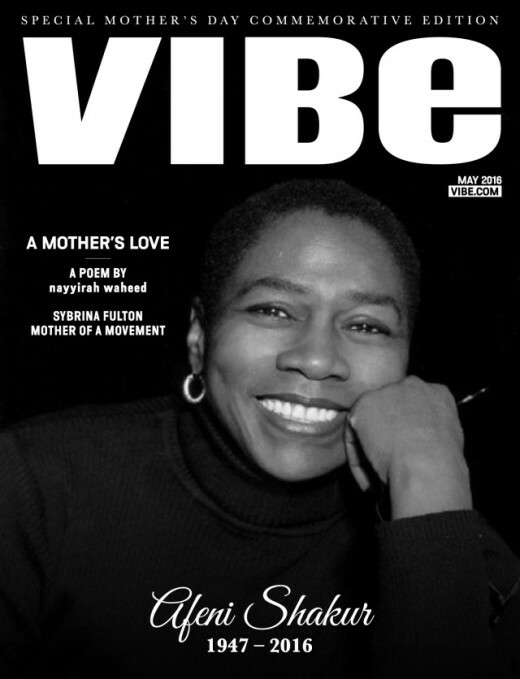 Today I encourage you to tell your mother’s: “Dear mama, you are appreciated.”, and then show it each and every day in each and every way! 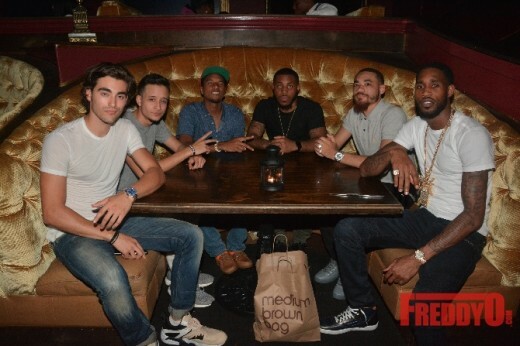 Blake Michael along with other Atlanta socialites stop by T.I’s restaurant in Atlanta. 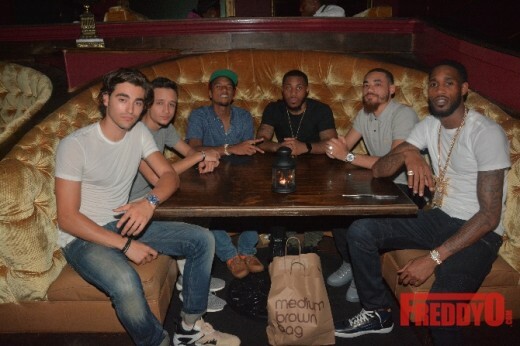 The actor, singer, musician and model stopped by one of the best places in Atlanta to catch any and everybody. ATLANTA, GA. February 22, 2016 – Last night, FreddyO & Gocha powered the Bronner Brother’s Hair Show Weekend Finale Day Party & The Golden State Warriors Pre-Game to celebrate this historic weekend as it came to a close. Held at Elleven45 in Atlanta. 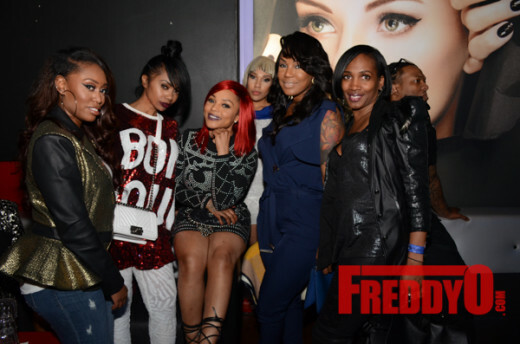 Atlanta celebrities and influencers alike were in attendance for a great time and turn up.